This 3 double bedroom semi-detached bungalow has benefited from a full refurbishment programme, with a new kitchen and lovely shower room. There is gas central heating to radiators & double glazing and own drive to a 'pre-fab' garage. 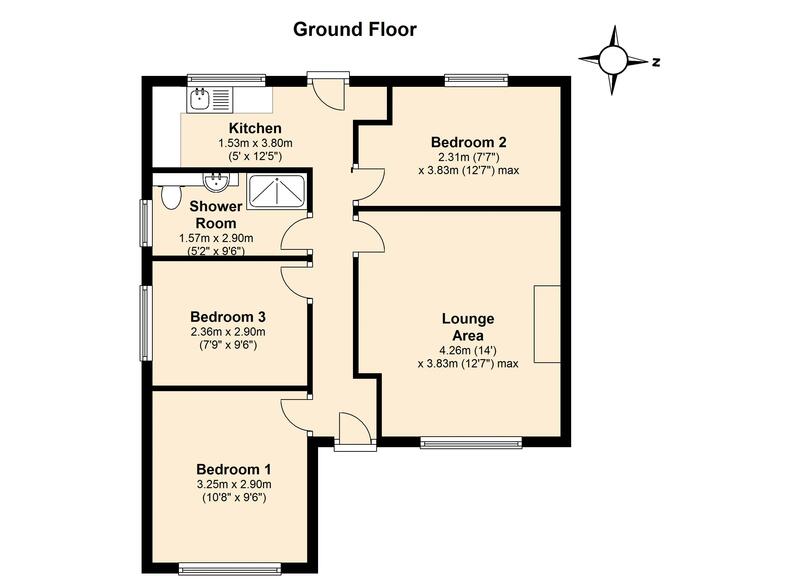 Each bedroom is fitted with a double bed, wardrobe, desk & chair. There is a good size living room with 2 sofas. Available on a 12 month contract from 8th July 2019. EPC Rating E.